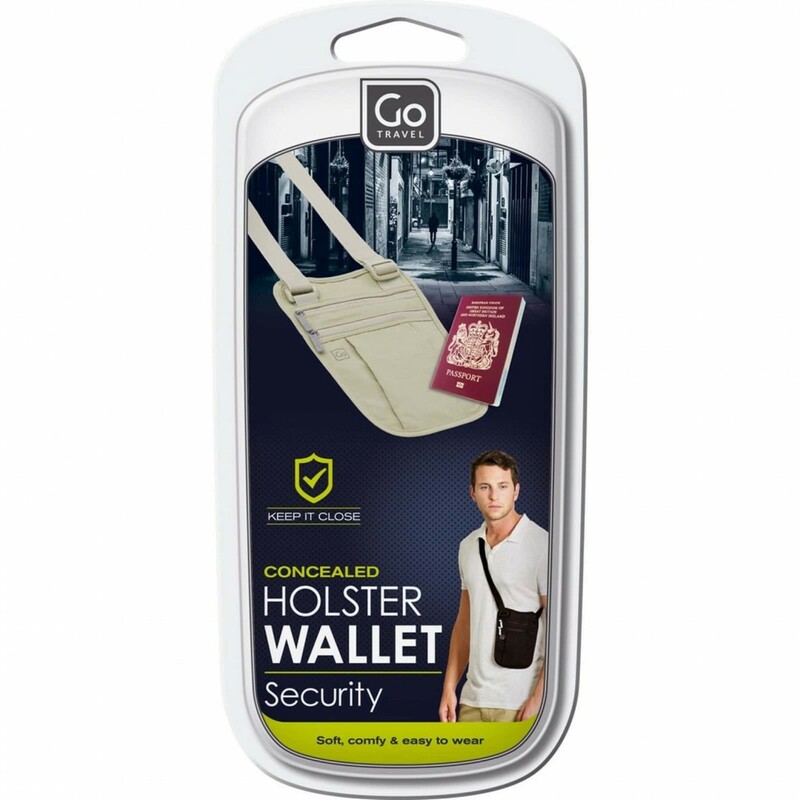 Concealed holster wallet Go Travel 616 is ideal for wearing under the clothes and will discretely protect your money and documents on your travels. It is soft and comfortable and offers plenty of storage room for your passport, documents, money. Concealed holster wallet Go Travel 616 is ideal for wearing under the clothes and will discretely protect your money and documents on your travels. It is soft and comfortable and offers plenty of storage room for your passport, documents, money and cell-phone inside the 2 zippered pockets. Unisex design in black or grey-beige colour is meant for carrying the wallet across the torso and under the armpit.